First Bathrooms are a UK based company with over 20 years experience, supplying clients with quality bathroom suites, toilets, basins, baths and much more. 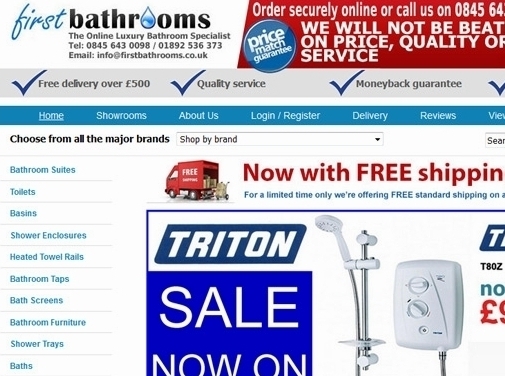 UK (Tunbridge Wells, Kent) based business - with over 20 years' experience - providing bathroom products and accessories for sale. Website includes e-commerce facilities, delivery and returns information, testimonials, details of business premises, full contact details.